This is the Kenya Rutuma Ngandu brought to you by Greenway Coffee Company. This fully washed coffee was sourced from the growing region of Nyeri in Kenya and was produced by the Rutuma Farmers' Cooperative Society at 1,700 - 1,800 meters. 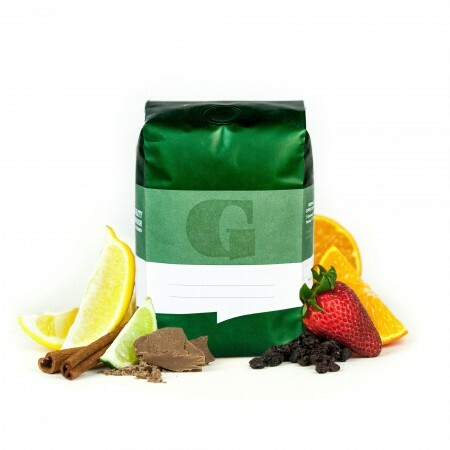 We love this coffee for its nuanced notes of blackberries and brown sugar and juicy overall quality. The brown sugar aromas are delightful. I wasn't sure if I would be able to identify it but I was able to and it was delightful. The fruit notes are strong throughout the cup but really shine as the cup cools. Kinda wish the juiciness and blackberry was more prominent in this coffee. It is almost more musky than fruity to me. Still a decent cup and hoping it matures into a better cup of coffee with a little time. I like this. However I've had a hard time balancing a sourness. Trying to bring out the juiciness seems to increase the bitterness at the same time. But I love it's brightness. This Kenyan really surprised me with its fruity notes. I am a huge fan!